I know it’s a little unusual to list your neighbour’s house on your blog, but when you read on you will see why I’ve taken this course of action. Here’s the story … My neighbours are in their mid-70’s and not in the best of health, they are reluctantly thinking of selling up and moving to Coffs Harbour where they will be closer to suitable facilities. Several years ago they were offered $500,000 by a developer who wanted to sub-divide, cut down their mini-rainforest and build 5 more houses on the block!! Understandably both they and I were horrified at the thought of their rainforest being destroyed. In February 2014, they plan to list their house with a local agent. Unfortunately this agent overprices properties in order to win the listing. He is talking of listing at $575,000 but they are more realistic and are hoping for around $550,000. The house is quite well maintained and easily rentable in its current condition. 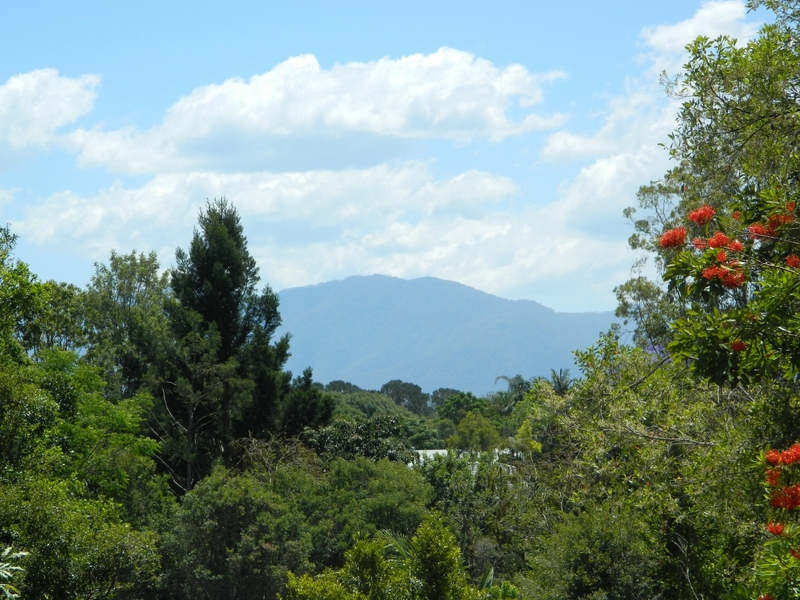 When sold, Brian & Averil would be interested in renting back whilst they look for a place they like in Coffs Harbour. Living in this street is like living in the bush but with the facilities of a small town (3,000 people) nearby. Every property in the street is between one and two acres and so far, no-one has sub-divided. The street is home to frogs, birds, bandicoots, bats, possums and even a few wallabies. We would all like to preserve our little piece of paradise. fabulous neighbours – especially me !! ride-on mower would be required unless you are a fitness-fanatic! Brian & Averil are not yet ready for inside photos, but if you want to be kept updated or would like further information, please use the Leave a Comment button to let me know. And feel free to forward this information to any of your friends whom you think might be inspired to buy a house in this particularly beautiful part of Australia.